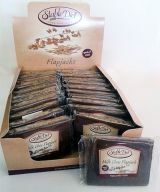 Our original flapjack smothered in thick milk chocolate…Bliss! Jumbo Oat Flakes (37%), Belgian Milk Chocolate (35% cocoa solids)(24%), Brown Cane Sugar, Butter, Non-hydrogenated Vegetable Oil. Contains Oats & Milk products.May contain traces of nuts or seeds. This is the best flapjack on the market. Crunchy and not too sweet.11am would not be complete without one. Ive been known to walk to a different shop if there sold out, rather then getting something else. 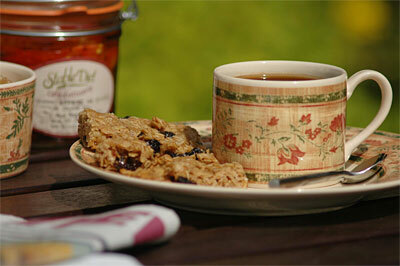 Just wanted to compliment you on your flapjacks - tastiest flapjacks i've had!